A simple fence helped produce this secluded oasis. 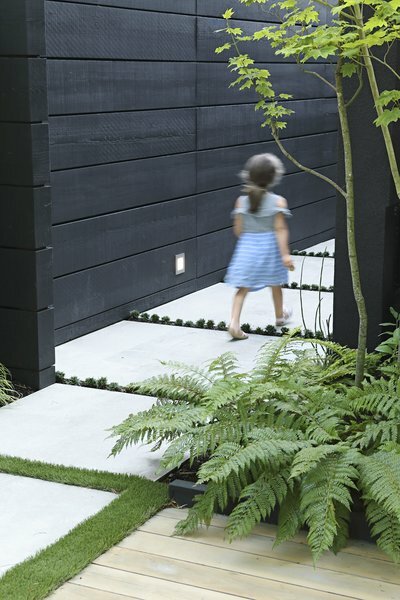 A black-stained Western red cedar fence now runs along the perimeter of Sharen McLean and Mark Derraugh’s property in Vancouver, part of a complete revamping of the couple’s outdoor space. The project was spearheaded by Sharen’s daughter, Andrea McLean, whose daughters and nephew make the most of the urban oasis. 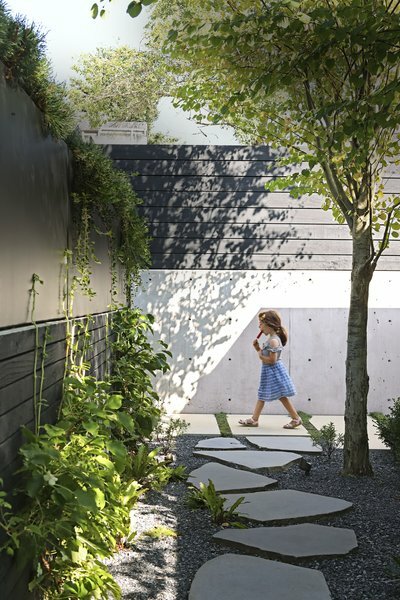 After spending the previous 15 years slowly renovating the home’s interiors, Andrea tackled the front yard in 2013, starting with a Western red cedar fence that both visually encloses the whole space and keeps the grandchildren—including her own kids—safe from the street. Hana Bea, 6, follows the concrete pavers that lead from the front yard to the side entrance. A mass of rhododendrons was replaced with a wood seating platform next to a patch of easy-care artificial turf, and such traditional touches as topiaries and boxwoods were removed. 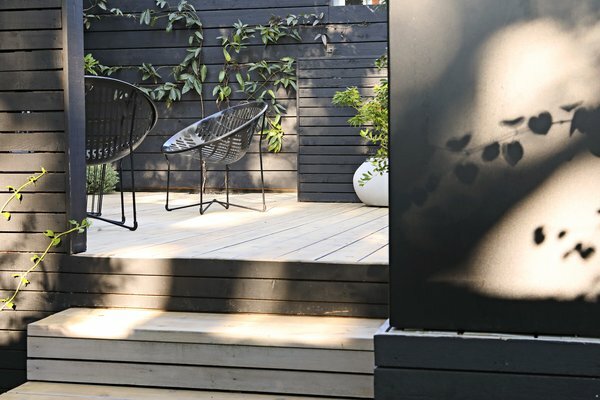 “It was all about taking out finicky things that didn’t serve us,” says Andrea, who tied the new fence and house together with a coat of midnight-black stain. The cedar decks were left to bleach in the sun for one summer and then finished with a light gray wash. Metal Solair chairs are in keeping with the tricolor palette of black, white, and green.